I grew up in the 1970’s (well, 1980’s for high school). As a mother, I have noticed that some things have changed since then – you know, besides the personal computer, internet, fashion, etc. I’m thinking specifically about safety. In addition to now locking our door every time we leave the house and talking to our children about a range of subjects that never occurred to our parents, we have a whole new set of safety rules for our kids. Played outside for hours without sunscreen. I don’t even remember hearing the word “sunscreen” until high school. And even then, we were far more likely to slather baby oil or Hawaiian Tropic on our bodies and lay out in our backyards, at the pool, or on the beach so we could have that sun-kissed tan. We weren’t thinking skin cancer; we were thinking of that Bain de Soleil magazine model. Remember her? I couldn’t find a photo of that browned body, but check out this 1980 Coppertone tan commercial if you want to stroll down memory lane. Rode my bike without a helmet. Helmets were for football, not bike-riding through the neighborhood! By the time I became a mother, there were statistics about preventable head injuries, articles on how to choose a proper helmet for your child, and doctors encouraging helmet use. Back in the 1970’s, though, not only did I ride with the wind whipping through my hair, but we happily careened down a slope at our local park we kids fondly called “Suicide Hill.” I skinned knees, elbows, face, and more, but no skull fractures thankfully. Drank from a water hose. Now apparently this is a no-no. But after all that bike-riding and hours without sunscreen, growing up in South Texas where temps could reach 100 degrees Fahrenheit and humidity was above 90% . . . well, thirsty! The easiest way to quench that thirst was to head to the nearest friend’s house and grab the hose. We’d take turns sucking down the warm water, thinking that we were health-conscious by not licking the spout. After all, there were others in line behind you. Rode in a car without a seatbelt. We had seatbelts in our car, but they were usually buried in the seat. Moreover, these were not shoulder/lap belts, only lap. And they were like airplane seatbelts, adjustable by pulling on a metal clasp. In the winter, that wasn’t a problem. But when the July heat reached the level of Hades, I was definitely willing to take my chances that we wouldn’t be hit by another vehicle over risking second-degree burns by yanking out that lap belt and strapping it over my hips. Ate deep-fried food. Thanks, Mom! Like many families in the South, we had a Fry Daddy, a Fry Baby, and a frying skillet. 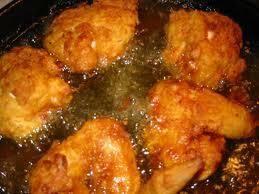 A meal served relatively often was fried chicken, fried okra and squash, and buttered corn on the cob. Or there was fried shrimp and fish, French fries, and hush puppies. Oh, man, I’m drooling just thinking of it! But I’m also imagining that my arteries were probably already clogging like rolls of toilet paper sent down the plumbing line. Where’s the Drano?! I still eat fried foods sometimes, but not nearly as often. After all, I want to outlive my cat. Dined in restaurants filled with second-hand smoke. Speaking of eating, I recall most dining out experiences involving my parents asking for the non-smoking section, which consisted of a few tables at the back with no barrier. Smoke filled the restaurant and wafted all around. It was common for people to finish their meals and light up back then. There were no city ordinances, no stiff social mores against such behavior. As a non-smoker myself, I think cigarettes smell bad and I don’t want my kids around a bunch of smoke. But it was the way things were back then, and I didn’t question it much. Bought candy cigarettes. 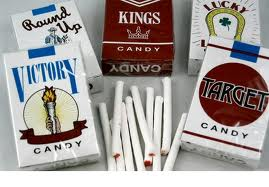 Now speaking of the smoking thing, did any of you buy candy cigarettes growing up? My sister, a friend, and I took gymnastics classes for a little while. (By the way, my sister was good at it; I stunk.) After our class, we had a little time before we headed home, so we scurried over to the convenience store and purchased candy cigarettes. We held them like mini Bette Davises, sucking on the sugary cylinders and then devouring them. For some reason, I don’t think that ever made me want an actual cigarette. And none of the three of us smoke now. But do I buy my kids candy cigarettes? No. I don’t even think you can find them now anyway. What do you recall doing as a child that you couldn’t imagine letting your kids do? Or doing now yourself? Do you think we are overly protective or just about right with today’s children? What are you amazed that you did and are still alive? (I refrained from telling about any super-crazy stunts from my past. Hi, Mom! Hi, Dad! But you are welcome to share here.) Chime in! When I was quite little, I sat in Dad's lap while he drove the car down the highway on trips! No airbags, no seatbelt. He'd let me hold onto the steering wheel so I could feel like I was driving the car. (At least he didn't let go of it himself!) I can't even imagine how I might react if I saw a dad let their child do that now! A bit older, I'd jump on my bike and just be gone for the day. My friends and I would make the rounds at other friends' houses, visit the park, whatever. Mom's simple instructions, "Be back by dark." Walk across town to a friend's house–alone. I can only imagine the headlines now, "Ten-year-old goes missing after a walk down Union Lake Rd.". Eek. Or how about riding in the back of a pick-up truck? We used to BEG to do that. Bonus points if you were the kid who scored a seat on the raised wheel well. LOL! I also had the candy cigarettes. Do they sell Big League Chew still? That bubble gum that looks like chewing tobacco? We used to stuff it in our mouth just like the pitchers at the baseball game. Sometimes I wonder if we worry too much about useless stuff these days? I realize all those kids who died from not wearing a bike helmet aren't here to speak for themselves :), but we really did turn out just fine. I think my kid will be OK if he drinks from a hose occasionally. I've never seen a seat belt in the back of a pick-up truck, but we rode in the back all time, preferred it most of the time.We used to ride a skate board by holding on to a rope that was tied to the back of a bike….no helmet or pads on either the bike rider or the skate board rider. And most of the time, it was in the middle of the street, the sidewalks were way too bumpy.And fireworks….bottle rockets, penny rockets, black cats, M80's. I don't even think that you can buy the type of fireworks that we used to shoot. And you would buy them year round, so someone always had a stash. We used to hold the penny rockets, light them, and the aim or throw them at our friends and have wars. I can remember twisting a handful of black cats together and then setting them off in a neighbor's mailbox. If the door wasn't blown off, then they were in for a huge surprise of a smoke filled box when they'd go to get the mail. Too many times the fuse was too quick and you'd live with a ringing in your ear for a few days along with tingling fingers. Hi Julie — Congrats on making your Row80 goals!!! And I loved this stroll down memory lane. It's so true, the things we survived and we loved every minute of it. Now I never tried this, but in a retro-kitchen blog, I read about a cookbook that promoted "hot-dog tacos," which featured weinies, taco flavoring from the envelop, and taco shells…. Um, I'd rather have deep-fried ANYTHING than try that. Wow, what a trip down memory lane. I did all that stuff and worse. (And I was in a car accident, no seat belt, cracked my head open on the metal dashboard of a Corvair.) I tanned, I ate awful stuff like candy cigarettes, and I, too, stayed gone all day, which was fine so long as my mother knew vaguely where I was going and when I'd be back. I cherish that freedom and feel sorry for kids today. Love this post! Of course, I did all those things too; I also strapped roller skates onto my shoes and skated down the middle of my suburban St. Louis street with no protection of any kind – no helmet, no knee or elbow pads, etc. And I have the scars to show for it, LOL! Such great thoughts from y'all! I don't where the balance should be. But it's interesting that we have great memories of these run-wild times. On the other hand, where I grew up, a lot of moms stayed home and they watched each other's children. Not as true today. Fun post, Julie! I did all of those things – and I'm still alive to tell it! We have a "Suicide Hill" in my area too, but it's for sledding – my husband used to go there. We also rode skateboards and roller skated without helmets! Oh, and licked cake batter – with raw eggs in it! – off the beaters, yet we never got sick. I too recall all of those things you mentioned. It a wonder any of us survived to adulthood. We were big into weapons. Cowboys and Indians wouldn't have been the same without the pretend six shooters. I loved my bow and arrows and don't forget playing wonder woman with the javelines made of sticks we sharpened with our pocket knives. Holy cow. I hadn't thought about it, but we would be considered delinquents today. I remember all of those things you mentioned, Julie. When I was a kid, weapons were big. Cowboys and Indians wouldn't have been the same without the pretend six shooters and I loved my bow and arrows. Oh, and don't forget playing Wonder Woman with the javelines we made out of sticks we carved to a point with our pocket knives. Jeesh, instead of being creative, we would be considered delinquents today. It's amazing how much has changed, indeed. I think we lived the same childhood, except I lathered on the sun screen. I also rode my bike for hours and hours, miles away from home, after dark! My parents bought me a light for the front of my bike that illuminated the faster I pedaled. Now adays, can you even let your kids out in the backyard unsupervised? Jennette – Oh no, if eating raw batter and dough are terrible, I'm in trouble! Pillsbury chocolate chip cookie dough right out of the wrapper is the best!PJ – I have boys, and I finally gave in and let them have Airsoft (plastic BB) guns. The other day, I was happy that they had them when a raccoon was accosting our cat's food! We shooed him off. But it was all supervised, I promise!From the comments, I guess I wasn't alone in the childhood I had! No, Julie you're not alone. Besides doing most of the things others have posted, when I became a teenager I hitch hiked A LOT. I even hitched hiked, with a guy I was going out with, from Colorado back to NY. It took three days. I was born in 1972, so this was like reliving my childhood. It is amazing we are all still here. I also ran around outside all day, rarely checked in, and came home after dark. I'm thankful no white vans with dark windows came to my neighborhood.Great post! So as I was baking cookies with my kids this weekend, I thought of another one to add and had to run back to tell you, LOL! Eating cookie dough and cake batter! All those raw eggs. We did it all the time as a kid. Of course, I still let my kids do it, even though I'm not supposed to. Eek. @Donna – My parents warned me within an inch of my life to NEVER hitchhike. And then I saw Texas Chainsaw Massacre, so I was doubly convinced. Glad you made it through without a scratch! (And frankly, most hitchhikers did. 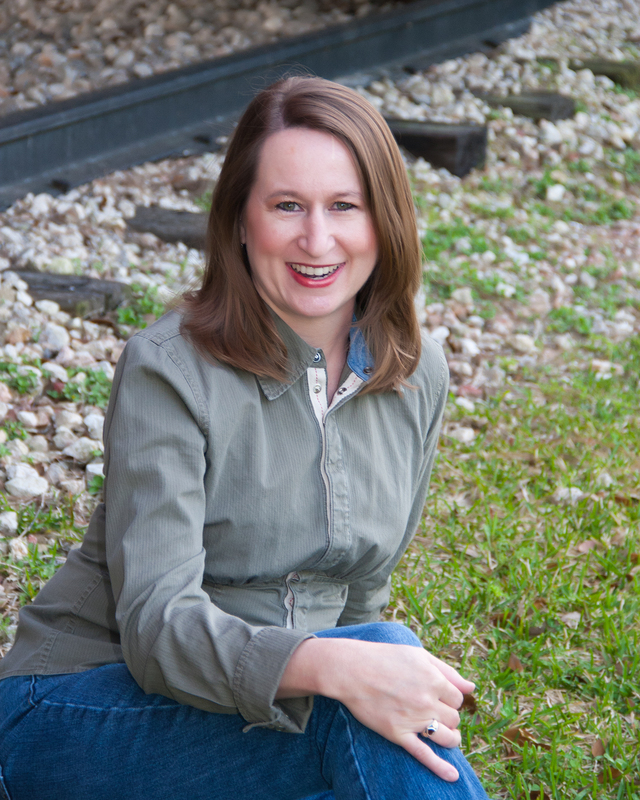 )@Erin – My husband still chides me when I eat raw cookie dough, but I haven't been sick once and I've been doing it since childhood!